Hello there! It's Inspire, Create Share Blog Hop time!!!! Happy February! This month we are focusing on Sale-a-Bration items!!! And I must say, this is THE BEST SAB catalog yet!!!! There are so many awesome item that I had a hard time trying to decide which to use! But I'm happy with my choice!!! This awesome stamp set is called A Happy Thing! And is it ever!!! The card is made with Coastal Cabana CS. The Best Year Ever DSP is the perfect coordinating paper for it! Such a pretty combination!! Then I added some buttons & ribbon from the Best Year Ever Accessory Pack! Yup! Coordinating products! Amazing! So I used my Blendabilities to color the lemon & the leaves. I'm still working at perfecting that technique! I just don't have that eye for the shading. I'm learning tho, and I think this came out pretty good. I love that Spiral Border Punch. I works nicely when you need just that extra something!!!! So much fun! So this is just some of the fun from the Sale-a-Bration catalog! And the best thing is all these items were FREE!!!! Yup! You can have them too!!! FREE!!! Contact me now to book your SAB workshop or class!!! We can get you some real goodies!!! Contact me today for your FREE catalog or check it out HERE 24/7!!! Hope you enjoyed! 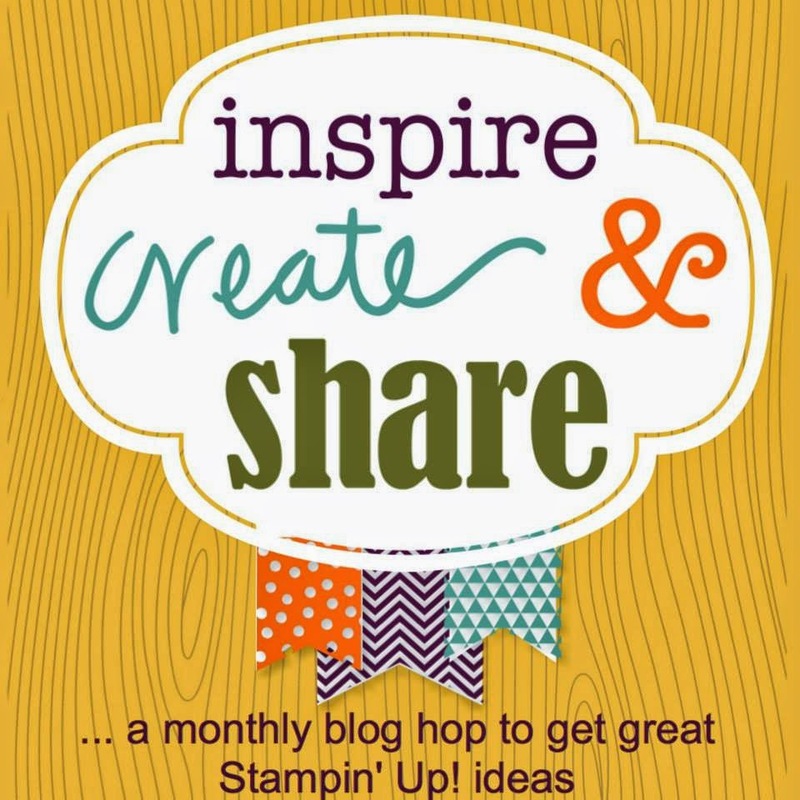 Now hop over to Nichole's blog & see what she did with her SAB goodies!!! I can't wait!!! Joni, I love this choice of papers and the arrangement. Nice! What a "Happy Card" love it so much! I love your card. The colors and layout is great. I love the colors and the DSP. Love that cheerful card! Thanks for sharing. Pretty pretty! I am getting ideas for that lemon! What a pretty card, Joni! 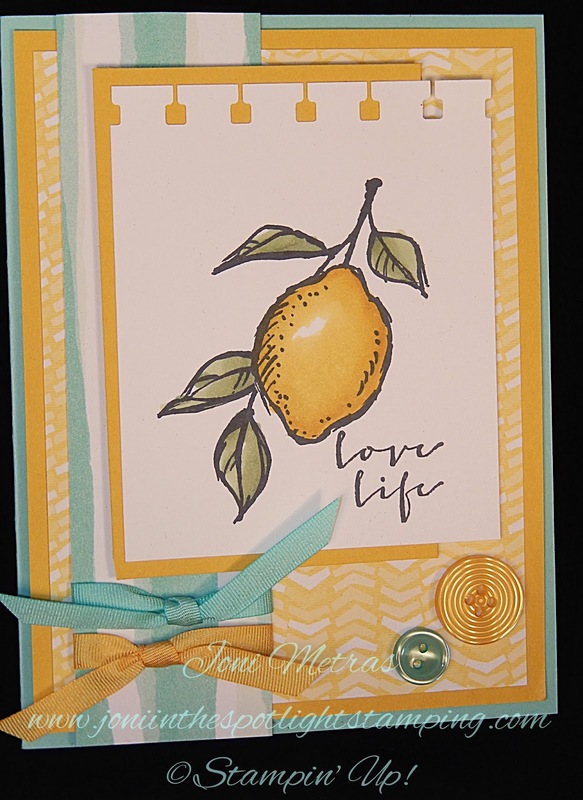 I love your colors, and that you were able to incorporate so many SAB items on one card! !